Stellar Four: Where Are All the Good SF/F Movie Soundtracks? Where Are All the Good SF/F Movie Soundtracks? 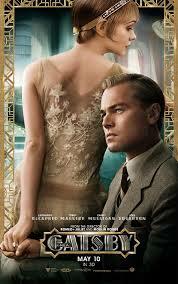 Reviews be damned, I will be seeing The Great Gatsby this weekend. Oh, sure, the source material is great, but what makes this version intriguing is Baz Luhrmann's colorful, kinetic, whacked-out aesthetic and music choices. The musical element isn't surprising; two of my very favorite soundtracks are Luhrmann affairs:Moulin Rouge and William Shakespeare's Romeo + Juliet. This naturally made me think about other great soundtracks that I've loved, and as I pondered my list, surprisingly few originated from genre films. First, I'll run down my favorite 10, and then maybe you can tell me why genre films don't have better soundtracks. William Shakespeare's Romeo + Juliet — I don't want to tell you how many times I've listened to #1 Crush in the last 48 hours as I've been thinking about this post. The whole thing is a winning mix of driving rock, high-energy dancey music and a few lovely ballads. This is the soundtrack that has me excited for whatever Gatsby has in store. Moulin Rouge — This is hands down the best theatrically anachronistic range of songs for you to belt out in the car. "Myyyyyyyy gift is my soooo-oooooong!" 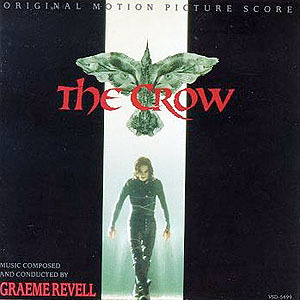 The Crow — Ah, the angry soundtrack of my high school years: Nine Inch Nails, Rage Against the Machine, Stone Temple Pilots. Listen to it while wearing black in the rain. Desperado — A mix of instrumental mariachi and fantastic guitar-y rock. (This is the album that made me fall in love with Dire Straits.) Also, Salma Hayek performs a pretty little love song. High Fidelity — The soundtrack for the movie about soundtracks. Of course it's amazing. Sheila Nicholls' Falling for You is the highlight for me. Or maybe The Velvet Underground's Oh! Sweet Nothin'. Or Stevie Wonder's I Believe (When I Fall in Love It Will Be Forever). OK, so it's all amazing. Garden State — Sorry, Zach Braff haters. I'm not going to apologize for loving this thoughtfully curated strummy, dreamy soundtrack. If it's got Colin Hay, then it's all OK. 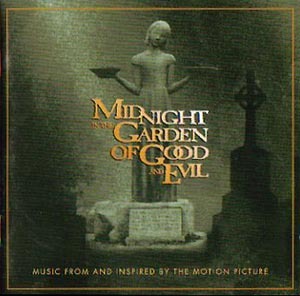 Midnight in the Garden of Good and Evil — People, Kevin Spacey sings That Old Black Magic on this album of Johnny Mathis covers. That's all you really need to know. O Brother, Where Art Thou? — This soundtrack ushered in a bluegrass music resurgence and made T-Bone Burnett a household name. It veers from playful to mournful to joyful and is always a delight. Reservoir Dogs — No surprise that one of Quentin Tarantino's coolest movies would produce such a boss soundtrack. Harvest Moon and Fool for Love get the most love from me. Rush — You may not remember the undercover cop movie that inspired this, but the album is full of melancholy instrumental blues by Eric Clapton, along with his gorgeous Tears in Heaven. Meanwhile, fantasy/horror movies tend to be heavier on the instrumentals. I mean, I loved the Bram Stoker's Dracula soundtrack as much as the next high schooler, but it was heavy on the screeching violin strings and light on finger-snapping good times. So are there amazing sci fi/fantasy/horror soundtracks that I'm completely forgetting about? If not, why not? Hit me with your best explanations in the comments. Django Unchained might fit into horror? Loved that soundtrack. I'm a soundtrack collector. Also love Moulin Rouge and Romeo + Juliet! Reservoir Dogs - whenever I hear Stuck in the Middle With You I have to check my ears. Then I get the heebie jeebies. The song and the scene are forever joined in my mind.